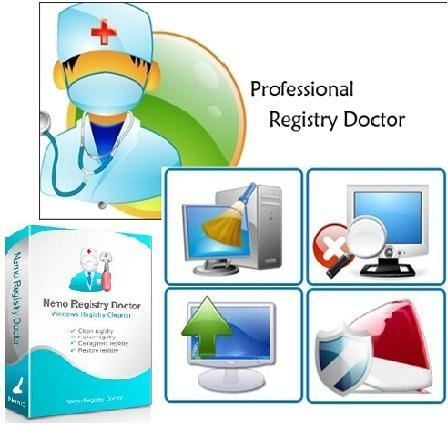 Advanced Registry Doctor Pro is one of the best tools which allows you to keep your registry in good shape. It will scan your system for errors and trash, search for solutions and analize them, finally it will rejuvinate your system back to life by correcting erroneous entries. Still correcting errors is good, but when you apply some changes to registry the old information won't be gone immediately, it will still stay in the registry file, you just won't notice it. This is how the registry becomes a digital dump. To avoid this problem ARD Pro provides you with the defragmentation/backup tools which will help your registry to acquire a linear structure and get rid of various garbage it contains. Advanced Registry Doctor Pro is capable of scanning for, diagnosing and curing multiple registry problems, which averts possible malfunctions and crashes, and significantly improves the speed of computer loading and performance. In addition, the program comes with a set of advanced options, like registry defragmenting, built-in scheduler, backup and restore feature, history log and many other perks - a registry toolkit, for example.